As an adult, discovering your own giftedness often occurs as a side-effect of discovering your child's giftedness. Consciously integrating these discoveries into your family life requires identity adjustment and perspective-taking. 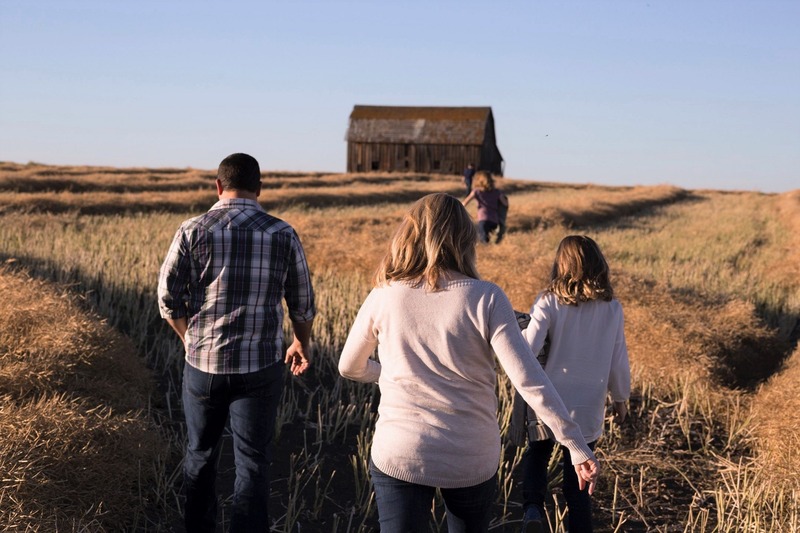 In this article, gifted mom and InterGifted coach & mentor Kelly Pryde shares her own family's journey toward integration of her own and her family's giftedness. 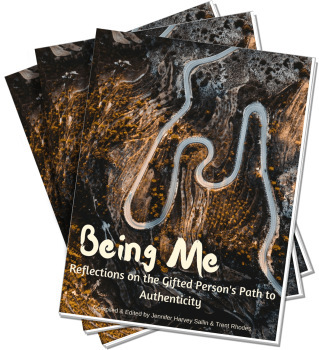 A version of this article originally appeared in the InterGifted Community's ebook Embracing the Gifted Quest. While it took some time to recognize and accept our giftedness (a period of time which was rather messy and tumultuous), when the dust finally started to settle it occurred to me that I knew a lot more about what to do with this realization than I thought I did. In fact, in many ways I had been preparing for this throughout the many years I had already been a parent. Something more. I think that must be the mantra for many gifted people! That deep sense that there is so much more to what we see, experience, and understand. So much more to who we are as unique individuals. As parents, this becomes a deep sense that there must be more to existence than changing diapers and the mundane tasks of cleaning house, doing laundry, and making ends meet. My drive to understand this something more has led me on an incredible journey as a parent—a journey of self-discovery, spirituality, emotional intelligence, and joy, as well as struggle, sadness, fear, and failure. While the journey tends to be both beautiful and messy, I have found that it takes me where I need to go every time. These three are your greatest treasures. you return to the source of being. you accord with the way things are. In my book, Reinventing Mom: Seven Pathways to Becoming the Mom and Woman You Are Meant to Be, I wrote about what I believe truly makes us parents. Beyond all of the caregiving and daily tasks we perform, I believe it is the sharing of our unique self with all of its talents, personality, quirks, strengths, flaws, intuition, creativity, and sensitivity that truly make us a Mom or Dad. Our ability to embrace and connect with that unique self is the greatest gift we can offer our children; when we can do that for ourselves, we can then help our children do the same. Of course, embracing and connecting with our unique selves is much easier said than done, especially when you consider the complexity, and sometimes quirkiness, of the gifted mind. As you well know, there’s a lot going on in there! I love how gifted counselor and author, Paula Prober, describes gifted people as having “rainforest minds.” Isn’t that a great analogy? Unfortunately, the nature of our gifted minds and the nature of our current culture often result in a rainforest that has been left untended—it may be overgrown with broad and varied interests, knowledge, talents, and experience; it could be infested with memes such as “There’s something wrong with me,” “I’m not good enough,” and “I don’t belong;” and/or it might have sustained hurtful wounds from outsiders who know not what they do. Our brilliant, rich ecosystems—our unique selves—become stifled by too many non-essentials and too much debris. These intricacies become even more challenging as parents since we have the added responsibility of understanding and nurturing our children’s unique minds and helping them manage and tend to their ecosystems, often without external support. Add to that the multitude of tasks and pressures we contend with on a daily basis, and you’ve got a recipe for tropical storms and monsoons amongst the rainforest minds under your roof! Some of the most important steps we can take on our journey then, is to simplify, to let go of the stuff that only serves to weigh us down and keep us from our unique self and what truly matters. At a personal level, some of these steps may require healing work with a gifted coach or counselor who can help us let go of past hurts and disappointments. Other steps will require us to identify and prioritize our values and the things that bring us joy and meaning so that we may let go of commitments, pursuits, and maybe even relationships that no longer serve us. A gifted coach can also help getting clarity on these matters. In my own life, the times I have found myself overwhelmed and running on empty are when my intense drive and idealism have run amok and I have taken on too many commitments that feel like “should’s”—“I should volunteer at my child’s school,” “I should really attend this event so I don’t appear rude,” “I should commit to that for my business. Think of the possibilities!” Should’s are the albatrosses around our necks that keep us from what matters. We have enough duties as parents and concerns with our intricate minds that we don’t need to be should-ing on ourselves and committing unnecessarily to things that do not bring us joy and meaning. In taking these steps to identify and let go of commitments that don’t truly serve us, we slowly begin to peel back the layers and clear away the clutter that has complicated and barred us from who we truly are. At a family level, there is also much we can do to simplify and keep clutter at bay so that the necessary may speak. Here again, it is quite easy to get caught up in activities, commitments, and buying things that add up to a “too muchness” over time. Life is wonderful when it’s full, but only in a just right, satisfied kind of way rather than an excessive, highly uncomfortable, I’m finding it hard to breathe kind of full. True to its name, there was nothing complex or elaborate about Project Simplify. I simply sat down that morning with a pad of paper and started writing down everything I wanted to release from my life—all the activities, ideas, and possessions that were cluttering up our family’s schedule, my mind, and our home. I was on a mission to take away things that were not meeting a basic need or enhancing the quality of our life. I enlisted the help of my family, and over the next several months, we became experts in shedding all of the extraneous things from our lives. The questions: “Is it really necessary?” and “What’s the trade-off?” became the driving force behind this process. Firstly, we began shedding physical possessions and clutter: unopened boxes from a move five years earlier; toys, clothes, and furniture we had outgrown; unused appliances and “stuff” cluttering cupboards. These were clearly not necessary. We donated it all. Next, we tackled calendar clutter. We were involved in a lot of activity—volunteer work, professional development, skating lessons, piano lessons, networking, social media, and on and on and on. We pared down many of the activities that were creating too much of a trade-off in our life and not adding significant value—all of the “should’s” that had become “have to’s.” Slowly, our to-do list began to shrink and our life—and our minds—opened up in ways I could have never imagined: more energy, more peace of mind, less stress and running on empty, a stronger sense of what really mattered to us and more time for those valued things. Simplicity allowed me to become more of who I wanted to be, and more of who I know our family was meant to be. The sages of past and present tell us, “A wise life is a simple life.” This I know for sure as a parent with an intense mind and drive to take things on. The first step in creating the life we want, is to get rid of everything we don’t. While simple can be a lot harder than complex for the rainforest mind and family, it is possible. Start small and take it one small step at a time. Let the unnecessary fall away from you, reconnect with your essential self, and let what matters guide you on your parenting path. With minds that are characterized by idealism, high standards and expectations as well as fast thinking and intense drive, we have a very hard time with patience. I will be the first to raise my hand when it comes to being impatient. Just ask my kids! Developing patience has been, and continues to be, at the top of my personal growth to-do list as a parent. Here’s what I know about impatience: the thought that things—life circumstances, other people, our jobs, ourselves, our children—are not the way we think they should be or the way we would like them to be is an argument with reality. Arguing with reality leads to a lot of personal suffering—for ourselves and our loved ones. Impatience says, “I can’t stand this,” “But that’s not right,” “This should be different . . . now;” it perpetuates the never ending story of “not good enough,” fostering intolerance, disappointment, anxiety, and anger—ingredients that do not make for a happy family life. Patience, on the other hand, does not mean looking at life through rose-colored glasses saying, “This is all wonderful” and “Oh well, I’ll just go back to eating my box of chocolates and let things unfold as they may.” Patience is not Pollyannaish or passive. Patience is wise; it says, “Ah, it’s like this. I can handle that;” it is a skillful collaboration with the way things are. Nelson Mandela has always been a "patience hero" for me. As a young man, he was intensely driven to end apartheid in South Africa; it was a reality he would not tolerate. He wanted change and he would fight to get it. Yet his hasty decision to lead armed actions in the name of human rights and freedom landed him a life sentence in prison. There he quickly came to the realization that fighting the reality of apartheid through anger and retaliation was not going to prevail. Instead, Mandela chose to skillfully collaborate with reality—he taught himself the Afrikaner language and history and used that knowledge to reason with his guards, learning about their culture and how they thought; he read literature and poetry; and he completed a law degree to further his mission for human rights. Amidst injustice and atrocious conditions, Mandela remained steadfast in his purpose and skillfully played a twenty-seven year long game to prepare for the next season of his life. There is much wisdom in Mandela’s story for us, as well. Whether you are trying to realize a lifelong dream, advocating for your child’s rights to a fair education, or bargaining with your child to wear his socks, it is helpful to embrace patience as the space in-between along our journey. While we have a deep knowing about the way things should be and an intense drive to make those possibilities real, the moment we get stuck on outcomes unfolding the way we think they should is the moment we begin fighting with reality. Patience allows us to create a space with room for everything—possibilities, frustration, hope, boredom, anger, triumph, failure . . . and even incompetence! In this space, patience allows for insight and wisdom to come forth and lead us forward in a calmer, more effective way. Sometimes in that space we recognize the need to slow down and consider how to skillfully respond to our child who refuses to wear socks because they have “pebbles” in the seams or the teacher who only sees your child as a behavior problem. And sometimes in that space we realize the need to sit there and wait for a bit while various things come together before we can move forward to work on the dream we have for ourselves or to find an education environment that is a better fit for our child. Whatever the situation, in letting go of our expectations and should’s, patience enables our journey to become a beautiful dance between what is and what will be. I have found mindfulness meditation to be the simplest, most effective and long lasting method for developing patience and calming my intense mind. 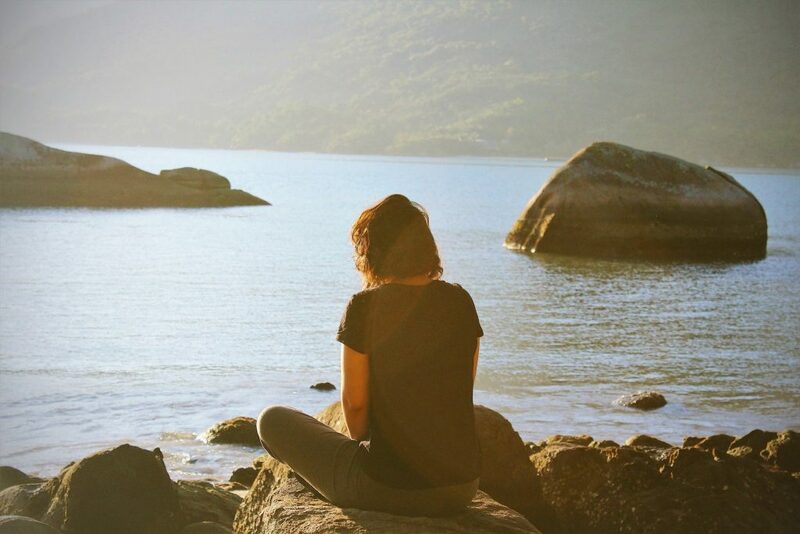 Mindfulness meditation involves paying attention to the present moment without expectation or judgment; you simply notice what’s going on around you and within you: the chill in the air, the cramp in your toe, the theory you’re devising, loneliness, boredom, worry, the workings of the universe. Whatever comes up, you just notice it and create space for it . . . “Ah, it’s like this.” That is your patience muscle—your patience neurons—building up and rewiring your brain to dance with the way things are. I have found this practice essential to the gifted parenting journey because, I know that when I can find a calm, patient space in the midst of a difficult situation, I can help my kids find that space for themselves, too. Our intensely curious minds will lead us to seek much knowledge and rational understanding as individuals and parents. But without the temperance of compassion, our journeys will be limited, for knowledge and the rational mind are limited entities. Einstein, who is typically associated with genius in the realm of scientific knowledge, believed deeply that as science and technology advanced, it was crucial for our humanity and virtues to lead the way. He spoke often of “spiritual geniuses” such as Ghandi, Jesus, and the Buddha, reminding us that they had much to teach about living a joyful, meaningful life. The essence of all their spiritual teachings is compassion, the act of deeply understanding and caring for our humanness so as not to cause suffering. 1. Many perceive compassion as a soft ideal for dire situations reserved for saintly types like Mother Teresa; compassion is, therefore, often considered unrealistic or unnecessary for daily life. 2. Our critical thinking minds love to address issues as problems that fit neatly into various labelled boxes, allowing us to hone in on the characteristic flaws and fix them; compassion does not cut to the chase and fix problems (or so the rational mind would have us believe). 3. If we consider the main premise of compassion from the Christian teaching, “Love your neighbor as yourself,” herein lies perhaps the most tragic fallout of our problem-focused, fix-it culture: most people do not love themselves. We’re so busy striving to fix or hide our perceived flaws and present the best-version-of-ourselves, that we fail to realize that it is precisely those imperfections and qualities that contribute to an already best-version-of-ourselves. Compassion is not complex or elusive. And it is not impractical or some kind of luxury. Compassion is a simple necessity for a good and happy life; it frees us from judgment and changes the lens through which we see ourselves, our children, and the world around us, allowing us to transform hurt and suffering into a higher level of being. 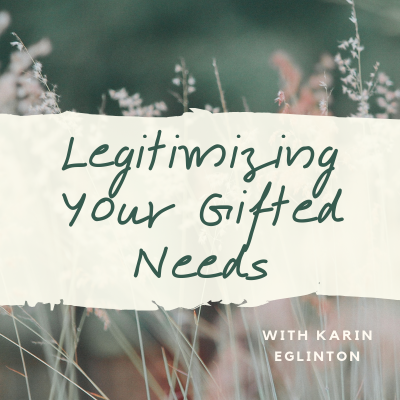 The start of my gifted parenting journey, and my limited knowledge about giftedness at the start of it, was my biggest lesson in the transformative power of compassion. Before we fully understood my son’s giftedness, he was struggling in situations where he wasn’t challenged, where his independence and divergent thinking were not accepted, and where blind authority was strictly enforced. His boredom and frustration came out as defiance and goofing off, resulting in a slew of consequences and consternation. The school he attended was not well-versed in giftedness and the area we live in does not recognize nor, therefore, understand twice-exceptionality. 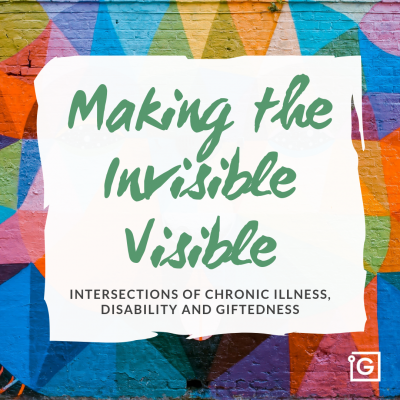 All the “experts” saw was the negative: the goofing off, defiance, struggles, and lack of effort—all problems that did not, in their view, fit into the box of giftedness; these were of a different “mysterious” box that needed fixing with discipline and consequences in order to set him up for success. And we, not being well-versed in giftedness ourselves at that point, bought into this approach for the longest time with counseling, discipline, consequences, arguing, and reasoning. This was all anybody seemed to know. Until the day my son told me he thought we wanted to put him up for adoption because why would anyone want him. My heart broke into a thousand pieces. This was all wrong; so very, very wrong. Everything the experts were insisting we “fix,” is exactly what makes him so special. His divergent way of looking at the world, fierce independence, strong logic, creativity, passion, and intensity are gifts that when channeled and developed appropriately will serve him extremely well in his life. His behavior was merely a reaction to a system and approach with limited knowledge that was wounding him rather than nurturing him. When we stopped trying to "fix" our son, and changed our perspective to engaging with him (and ourselves in our ignorance!) through the lens of compassion, everything changed. Chances are you know this kind of wounding; it is deep, it is intense, and it leaves us feeling like we are broken. Over time we become disconnected from our true nature and other people as we build walls to protect ourselves. And in our attempts to raise our own children, we mess up. A lot. These mistakes often fuel our sense of broken-ness. Self-judgment, shame, and cynicism creep in which are serious enemies of a joyful, meaningful life. So how do we extend this kind of care and compassion to ourselves? What does self-compassion look like? Taking the time to create simplicity in our lives by letting go of things that no longer serve us, doing healing work, and rediscovering our true nature is a form of self-compassion. Developing patience and insight through a mindfulness practice is a compassionate thing to do for ourselves. And recognizing the fact that, even with flaws, limitations, and numerous parenting blunders—intense and otherwise, we already are a best-version-of-ourselves with many beautiful gifts to offer; that, especially, is self-compassion. Little-by-little, compassion transforms us to higher levels of being and we get on with our real work of being who we are meant to be in this world . . . and guiding our children toward the same. When we combine our knowledge, insights, skills, and goodness in this way—through simplicity, patience, and compassion—we embody “compassionate wisdom.” How’s that for a "something more"?! To paraphrase the words of Einstein, our journey here on Earth is often a strange one. Each of us comes for a short visit, not knowing why, yet sometimes seeming to divine a purpose, a “something more.” From the standpoint of daily life, especially as a gifted parent of gifted children, there is one thing I know for sure about this purpose and that is we are here for the sake of others—to show up fully in each moment exactly as we are, in all our complexity. Your children, your family, your community—the part of the world you touch—need what you have to offer. Let the unnecessary fall away, reconnect with who you are, and engage both your wisdom and compassion. Then . . . pass it on. 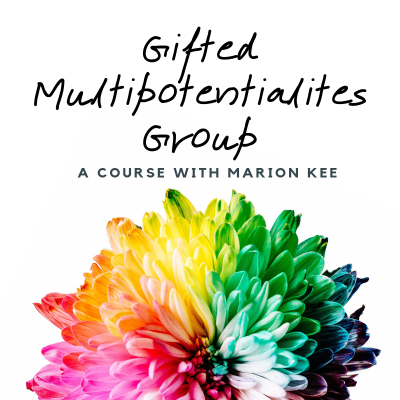 If you would benefit from developing a mindful approach to your giftedness, self-development, parenting, or family integration, consider joining The Gifted Mindfulness Collective -- my partner project with InterGifted -- or an upcoming course with me. Mitchell, Stephen. Tao Te Ching: A New English Version. New York: Harper Perennial Modern Classics, 2006. Prober, Paula. Your Rainforest Mind: A Guide to the Well-Being of Gifted Adults and Youth. Olympia: GHF Press, 2016. Pryde, Kelly. Reinventing Mom: Seven Pathways to Becoming the Mom and Woman You Are Meant to Be. Bloomington: iUniverse, 2013. 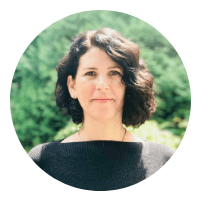 Kelly is a neuropsychologist, coach and mentor specializing in giftedness and mindfulness-based approaches to living well with intensity. She lives in Canada and works with people of all ages to help them support their unique inner experience and thrive. 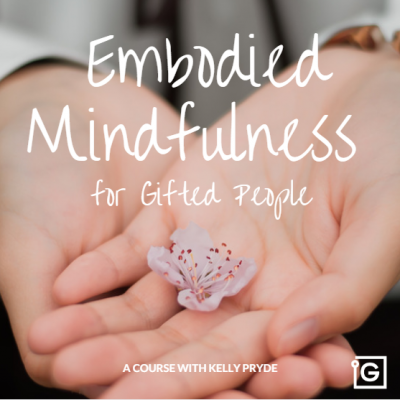 Kelly is the founder of the Gifted Mindfulness Collective ― an InterGifted partner project. Feel free to get in touch with her to schedule a session or to join one of her upcoming InterGifted courses on mindfulness for gifted people. To order your copy of Embracing the Gifted Quest, visit our IG Bookshop! Thank you so much for those words. You made me feel happier with myself and my mother rol, and encouraged me to the adventure we are facing as a family.